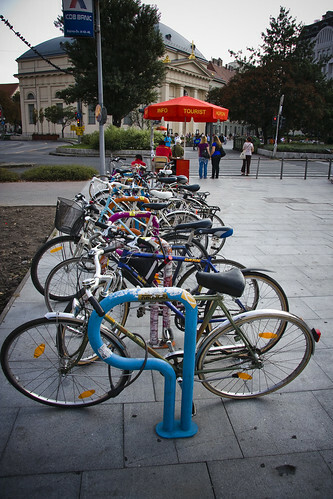 Copenhagenize.com - Bicycle Urbanism by Design: Budapest Bike Rack. A busy bike rack is a sign that a bicycle culture is flourishing. That's certainly the case in Budapest. I'm trying to get a load of photos organised and will blog about the city shortly. Exciting place for cycling.